11 Semma is the final creation in the 11-edition series from Odin New York. The perfume comes in a rectangular, very simple flaçon which is very dark brown in colour and has been perfected with a black cap. In the creation, scents from faraway countries are processed, thrown together with a great degree of finesse by perfumer Phillipe Romano and above all harmoniously mixed. The unisex scents in the perfume 11 Semma can be used by both men and women – as is also the case for the ten other creations in the Odin New York series. Each of the fragrances is dedicated to undiscovered worlds and the most hidden corners of the earth, which is why these unisex scents are ideal for cosmopolitans or those who would like to become such. Just a few sprays from the flaçon are plenty to envelop the wearer for several hours in a enchanting yet distinctive aroma, which can only radiate stronger appeal with time. In the creation 11 Semma, perfumer Phillipe Romano uses a combination of chilli and myrrh in the top note, which explains why the unisex scents immediately come across as very spicy and aromatic. This then merges into a heart note of sweet cinnamon bark, complemented by clove. This gives rise to a contrasting interplay of sweet and spicy ingredients, which lend the perfume its distinct edges. Finally, the scents are rounded off in the base note with a trio of tonka bean, sandalwood and various tobacco leaves: a fusion of naturalness and exciting spices. 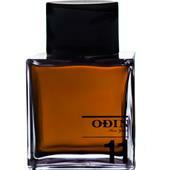 The creation from the house of Odin New York is a genuine one-off and can hardly be compared with other perfumes. The fragrance radiates a completely natural, magical aura which only develops further over time and reveals a range of different facets. 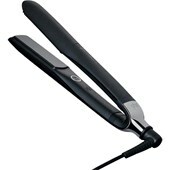 As such, the perfume is always the highlight of the day.